*Skip 25 yards, walk back and immediately start next set. * Same as above, plus alternate lead foot. 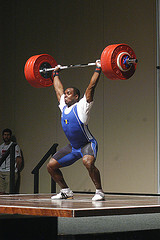 for power clean + push jerk, is it two P.J. 's for every P.CL.? Sayer, perform 4 power cleans first, THEN 2 power jerks. Thanks so much, by the way loving the routines there amazing.